John pioneered real estate drone photography as one of the first 1,000 legal FAA 333 licensed UAS pilots in 2015. He has flown and filmed over 500+ ranches all over Texas. Rochen Road - Waller from Deans Imaging on Vimeo. Vista Lakes Ranch - Marquez, Texas from Deans Imaging on Vimeo. El Corazon Ranch - Waller TX - V4 from Central Texas Drones on Vimeo. Glaeser Road - Bellville from Central Texas Drones on Vimeo. Piney Schoolhouse - Burton TX from Central Texas Drones on Vimeo. Trackside Road - Chappell Hill from Central Texas Drones on Vimeo. River Trace - Columbus from Central Texas Drones on Vimeo. FM 2726 - Washington from Central Texas Drones on Vimeo. Muske-Ullrich - Burton from Central Texas Drones on Vimeo. Christmas Stroll 2017 - Brenham TX from Central Texas Drones on Vimeo. 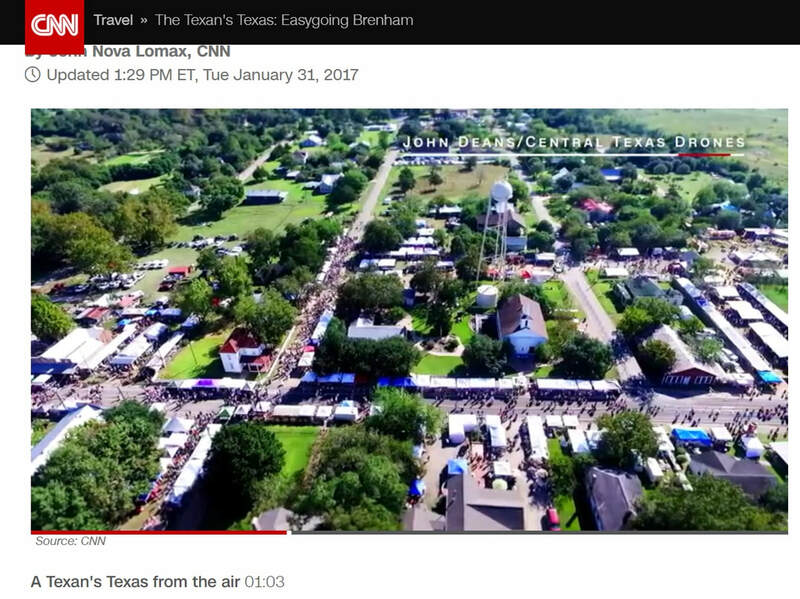 Texas Arts and Music Festival - Brenham TX - October 2017 from Central Texas Drones on Vimeo. Washington County Fair 2016 - The Fair From The Air from Central Texas Drones on Vimeo. Chappell Hill Scarecrow Festival 2016 from Central Texas Drones on Vimeo. BVEH - Navasota Breeding Division - Brenham Texas from Deans Imaging on Vimeo. Market Hill - Paul Michael Company - Round Top Texas - 2017 from Central Texas Drones on Vimeo. Brenham Country Club - Brenham Texas from Central Texas Drones on Vimeo. APEX Stone - Sealy Texas from Central Texas Drones on Vimeo.